We are in for a hot autumn in Europe: according to a leaked report by the German central bank, the money from the Greek bailout package has run out and Greece is in need of more funds in order to avoid defaulting on its debt. The ‘trouble’ hit the fan recently, after Der Spiegel leaked an internal report by the Bundesbank. The German central bank document voices the opinion that putting together a new bailout package will be unavoidable after the elections at the latest, otherwise the Greek state will go into default. 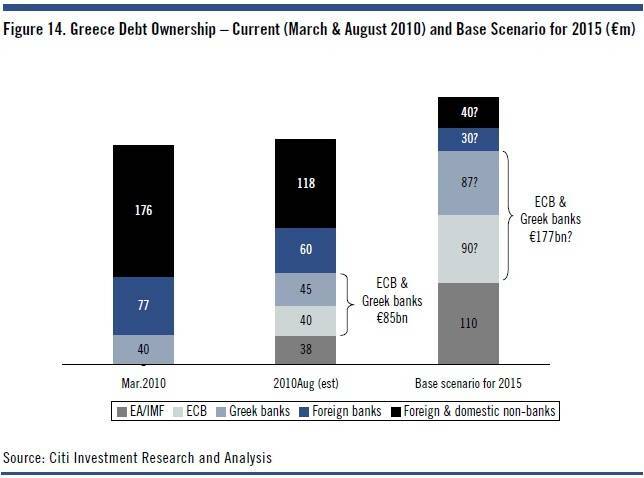 The bailout package has to be hammered out by early 2014 at the latest in order for the financing of Greek debt to remain continuous even after the bailout program currently in effect runs out at the end of next year. However, the Merkel government has so far not said a word about this to German voters, who have already contributed tens of billions of euros to bailout packages for Greece (twice), Portugal, Ireland and Cyprus. Changes in the structure of Greek debt ownership. More than half of debt is being financed by Eurozone governments and taxpayers, either directly or indirectly (via IMF, ECB). As to why the money has run out, the best summary is provided by The Financial Times. In short, European creditors (ECB, EFSF, governments) pledged EUR 144.6 billion to Greece by the end of 2014, of which EUR 133.6 billion has already been transferred. According to the Bundesbank, the latest payment in July was already only transferred due to the “political pressure,” while it is clear to everyone that the program’s original goal of restoring Greece’s financial independence remains completely out of reach. The problem is not new. The International Monetary Fund (IMF), which is also a participant in the Greek bailout, has been sounding the warning bells for a long time. According to the IMF, the Greek debt path is unsustainable, among others because privatization is not fast enough – for example because there are no buyers – and state revenues consistently fall short of plans (for example because planned tax revenue targets go unmet). The IMF has also pointed out (as have others) that some level of debt relief will be unavoidable. That however is something every Eurozone government is trying to steer clear of, as it would mean that their taxpayers lose billions on financing the Greek state. The question is when this step, which seems politically unfeasible, will have to be taken. Otherwise the Greek crisis will be back where it started three years ago. That is precisely why Angela Merkel did not want to deal with it before the elections, as she has avoided a host of other topics as well. 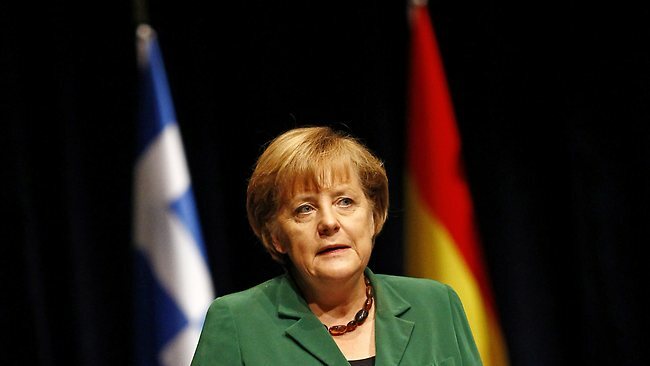 However, because of the leaked Bundesbank memo, the opposition is already accusing her of lying to the electorate when she insists that everything is fine and that no more payments will need to be made to the Greeks, whom most of the population regard as slackers. The CDU/CSU has a strong lead in the polls – however, it is uncertain whether this will amount to much, as the free democrats, their current coalition partners, are hovering around the 5% parliamentary threshold, according most polls. Current polls indicate that there will once again be a grand coalition – since an SPD-Green coalition would not have a majority either, and neither side is likely to team up with Die Linke, with roots in post-communist East Germany. It is also becoming increasingly clear that the Merkel government’s role in European crisis management will be a central issue of the German campaign.